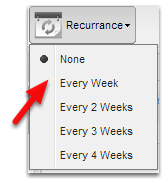 How do I use the simple recurring jobs feature? This lesson will show you how to set a job to recur. 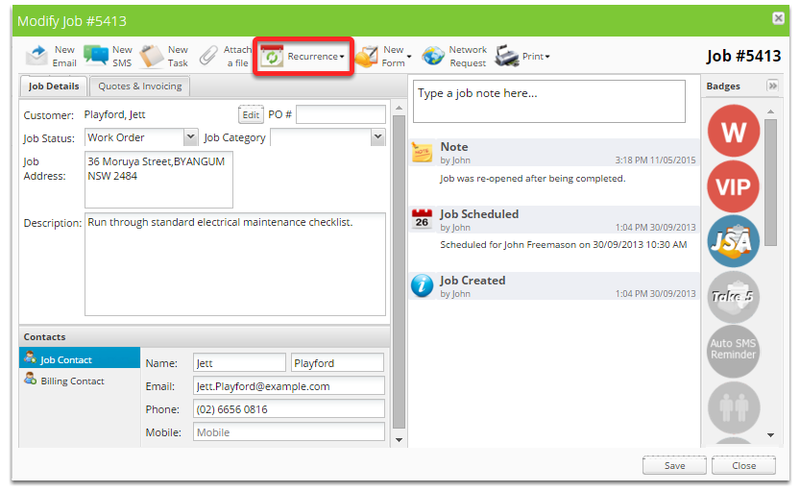 Recurring jobs needs to be activated in the add-on section of ServiceM8. The job is now set to recur once completed. The job is automatically recreated and scheduled. The job will be scheduled to the staff member it was previously scheduled to, and will be scheduled at the time at which it was previously scheduled. If the job wasn't scheduled at all, it will schedule to the staff member who completed the job at set opening time of your business. Can a recurring job be created directly from an existing job?